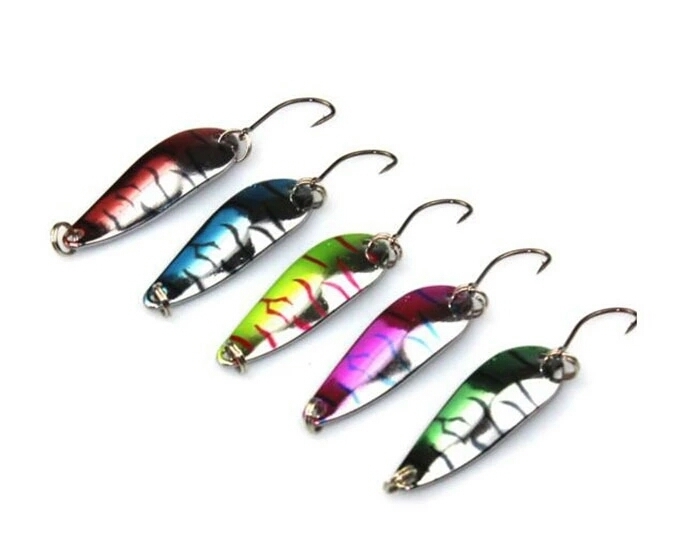 Disadvantages of lures are mainly associated to their price, as they are a bit more expensive and can get caught easily in underwater items or trees and you can’t afford to lose them. However, Vlure Tackle offers a range of lures for a very reasonable price. Here their experts share with us different types of lures. Mainly there are 7 types of lures. These are great for beginners being very easy to use. They are typically a metal shaft that has a spinning blade. Its hook can be kept bare or “dressed”. When you drag a spinner through water, the blade spins. This spinning motion creates a sound and vibration because of which fish are attracted. Therefore spinners are a good choice for murky or stained water. Jigs are perhaps the most versatile of all lures. It can catch almost all types of game fish and are economical to boot. Their lead head is weighty and they are available in every color and size. Plus, you can “dress” them with hair, feathers or even with a bait of your choice. 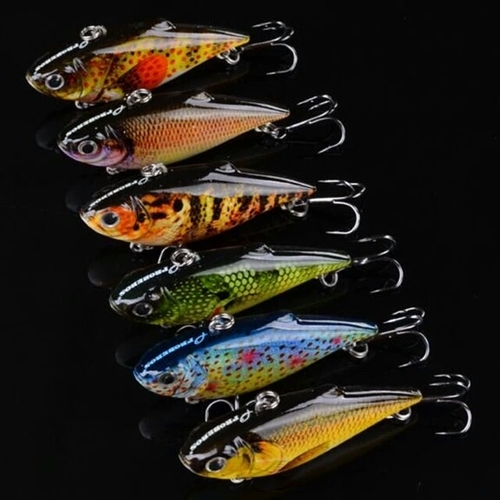 Many different lures come under this category and they are mainly used for bass fishing. 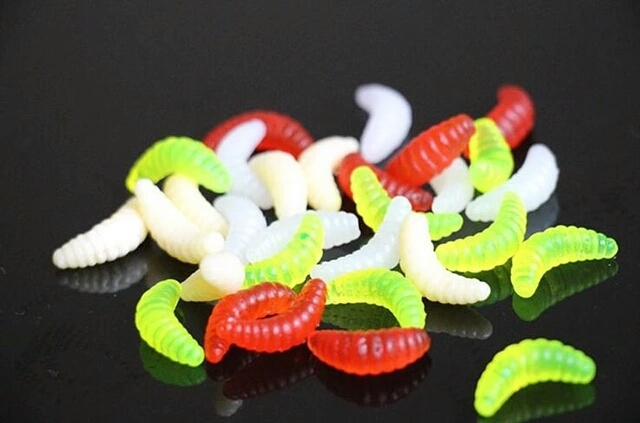 Worm is a classic soft plastic bait. These baits are made by pouring molten plastic in a mould and adding metallic flakes, dyes and even scents. These baits can look like the natural fish forage such as crawfish, worms, frogs or lizards; however, some plastic baits don’t look like anything occurring in or outside water. They are known as “critters” or creature baits. Because of their soft body, fish are encouraged to hold them for longer before spitting it out, because of which the angler gets a better opportunity to set the hook. As the name suggests, spoons are metal lures that have a curve; previously they were just that, spoons with no handle. Today’s spoons can be of any size and color (like other types of lures). You can use a spoon in any fishing situation. Because of its unique shape, spoons move in a side-to-side wobbling action through water that can stimulate a wounded baitfish and game fish love wounded baitfish. 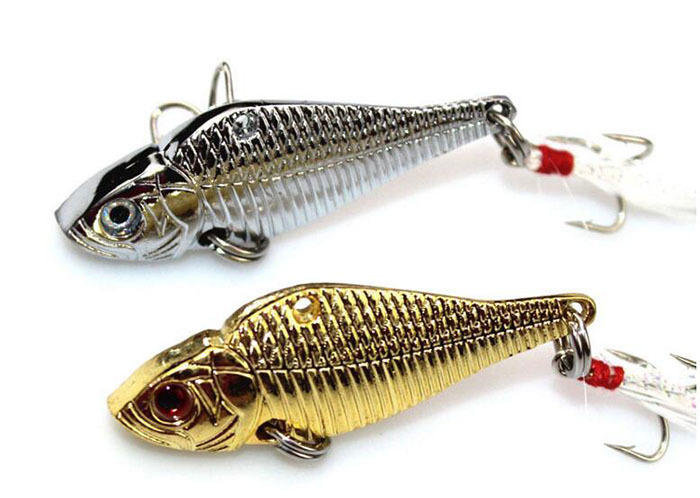 These are created from hollow wood or plastic to look like frog, baitfish or other prey. They normally feature 2 or 3 treble hooks. These lures are hard-bodied and can be fished at around any depth, while some plugs are created to dive or float or both. Based on its design, it gurgles, wobbles or rattles. They are available in all sizes. Most have a type of plastic lip that lets them dive while you pull them across water. 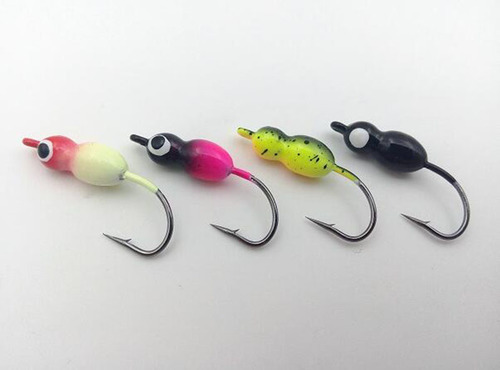 Various types of plugs are jerkbaits, crank baits, poppers and so on. These baits look awkward because they contain a wire looking like a safety-pin to which a lead-head body is attached. This body is typically dressed with a skirt made of rubber and the arm has 1-2 metallic blades similar to spinners. Traditionally flies are used with fly fishing tackle but with the introduction of a clear bubble float, they will be cast by spinning gear too. These are very light and imitate insects in different stages of lifecycle or other preys like leeches, baitfish, hoppers and even frogs and mice. They are normally built of feathers and fur, though sometimes new materials like rubber and foam may be used. 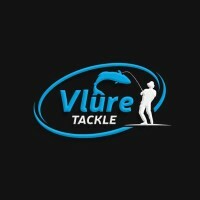 Vlure Tackle fishing specializes in fishing lures. 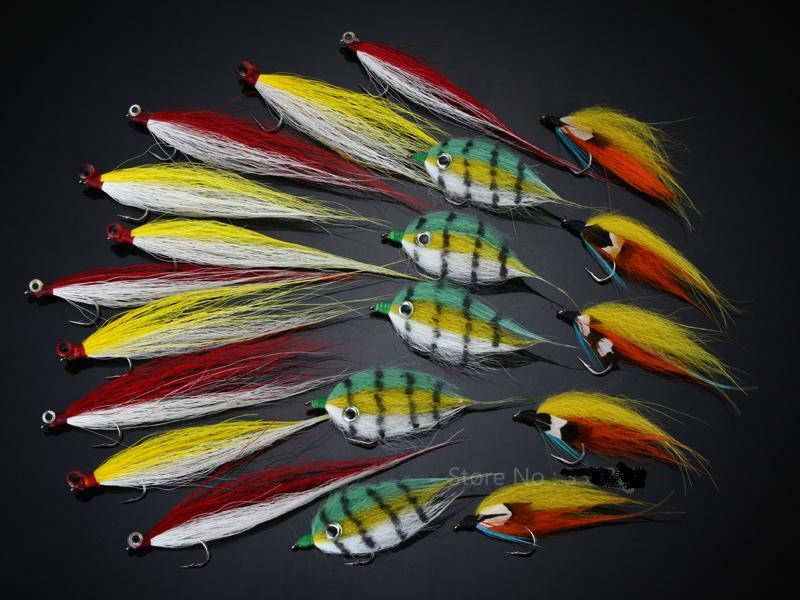 They carry a large variety of lures ranging from flies for all types of fly fishing, glow in the dark lures, ice fishing, bass lures, pike and muskie baits! Some of their products are given in this article and you can see many more on their site. 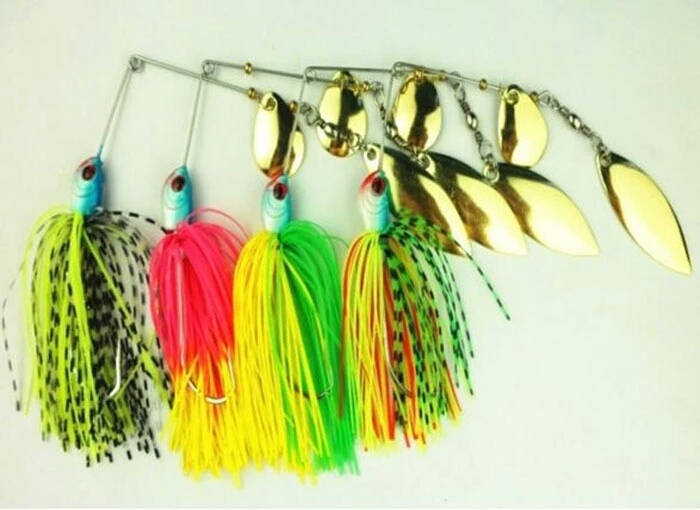 They have all types of fishing tackle too, and offer free shipping on orders over 25$ worldwide, wholesale pricing! So, visit their site and take benefit of their amazing products and offers.